It was published on the study date 19/2/2019Body Representation in Children With Unilateral Cerebral Palsy&apos;, by Arturo Nuara , Pamela Papangelo, Pietro Avanzini and Maddalena Fabbri-Destro, on the prestigious scientific journal &apos; Frontiers in Psychology-cognition &apos;, the world&apos;s most cited magazine on multidisciplinary psychology. The study assessed body representation through design in children with unilateral cerebral palsy. The participants were asked to perform three portraits: a self-portrait, the portrayal of their rehabilitation companion Mirrorable (also with hemiparesis) and the portrait of a classmate. The results showed that children with cerebral palsy tend to represent their upper limbs-and not those of fellow video Mirrorable With Hemiparesis, or classmates – in an asymmetrical way. 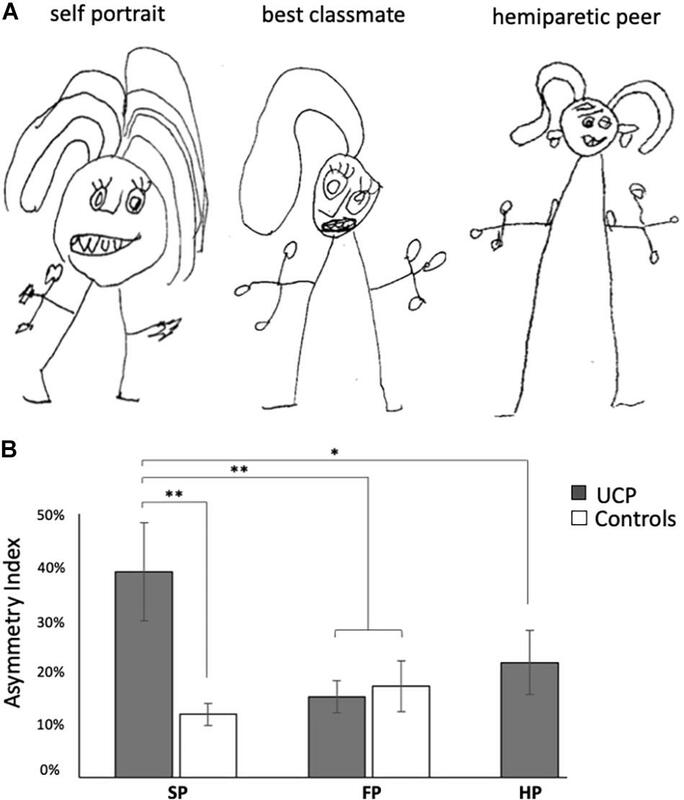 This observation suggests that unilateral cerebral palsy leads to an alteration of bodily self-representation, but not to bodily representation in general, nor to representations of hemiparesis. The assessment of this asymmetry, which is likely to reflect the sensorimotor experience of the child with Cerebral palsy, it could enrich the kit of evaluations commonly adopted in the Pediatric neuroriabilitative field. In particular, this practice could allow the clinical staff to obtain from children an implicit measure of their perceived degree of functioning, information not easily obtainable in paediatric patients.